Rooted in his belief that the painterly mark and abstraction itself forms visual philosophy, Carlo Magno attempts to utilize substance, color, line and movement to maximize visual significance. His paintings portray substance, ideas, and emotion through gestural strokes and painstaking techniques. Magno’s artworks are there to interpret reality, drawing from a myriad of sources to portray diverse experiential associations and personal intuitions into a self-contained entity. Magno employs both density of form as well as openness of space in a manner of contrast and dichotomy, a theme central to his art. In his works for “An Exquisite Reverie”, his emphasis is on presenting a state of a fully-worked ground, hence his inclusion of the same in many of his artworks. Magno sees the human form as both a living sculpture and landscape. 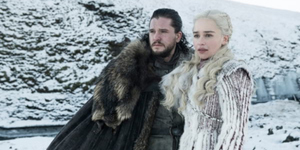 Viewed through the poetry of the artist, the female form is unique and mysterious, alternately expressing empowerment or vulnerability. The artist combines this imagery with his personal commitment to abstract expressionism while slowly unveiling the hidden detail and subtle beauty of the muse. The resulting imagery can only draw the viewer in for deeper consideration, encouraging him to oscillate between expectation and revelation. Known for his abstractions on canvas, the versatile and full-of-surprises Carlo Magno has produced a deep oeuvre of high-quality works that spans more than three decades of a career in art. In the trajectory of Magno's practice, one can see the development of a complex artistic temperament that has experimented with a diverse multitude of media, styles, techniques, and forms. The artist's rich career of over 20 well-received solo shows held locally and abroad is a both a testament to the innovativeness of his character, and proof that the concept of evolutionary re-invention can be a driving force of an artist’s practice. Magno's career started at the tail-end of the Modernist era of Philippine art. Starting out as an Architecture undergraduate at the Mapua Institute of Technology, in 1976 Magno shifted to the Fine Arts program of the Philippine Womens University, under the auspices of its then-director and now modern master Raul Isidro. In 1980, Magno won first prize at the YMCA Painting Competition for his work titled "Bayanihan." This, and his subsequent first solo show at the Greenhills Art Center in 1981, garnered him a reputation for painting hyperrealist paintings of Filipiniana artefacts – church interiors, gardens, and antique furnishings - that were heavily fused with a nostalgic sensibility. Making a name for himself with these works, Magno then began holding exhibitions at some of the most important art spaces in the Philippines--including the Ayala Museum in 1990 and the Madrigal Art Center in 1992. Never satisfied with resting on his laurels, Carlo Magno's very latest works show a fusion of his earlier hyperrealist style with abstracted landscapes. This unique topography of hybrid works represent the latest in a career that undoubtedly continues to grow into what is now becoming one of the more storied visual art careers in modern Philippine art history. 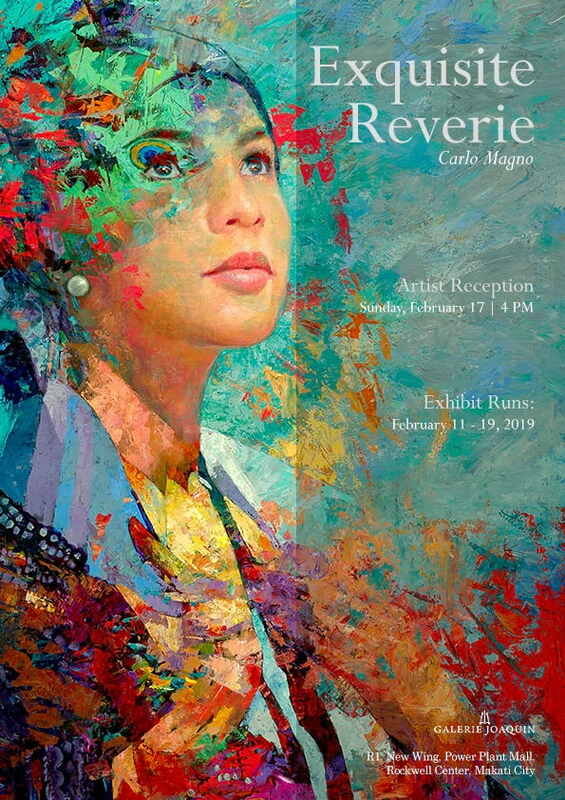 “An Exquisite Reverie” will be on view from February 11 to 19, 2019 with the Artist Reception scheduled for Sunday, February 17 at 4PM. The exhibit features works which will be displayed at the Gallery Area of the New Wing of Power Plant Mall in Makati City. For inquiries, contact Galerie Joaquin at +63917-534-3942 or +632-723-9253 or email info@galeriejoaquin.com.